Learnitude Technologies Pvt. 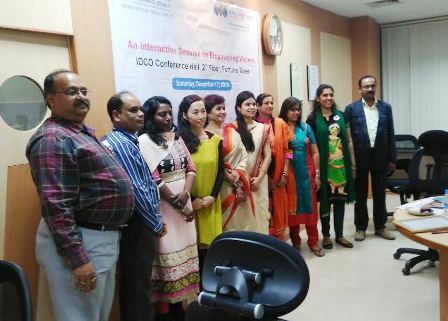 Ltd in association with World Trade Centre (WTC) Bhubaneswar felicitated woman achievers during an interactive session on “Empowering Women” on Saturday. 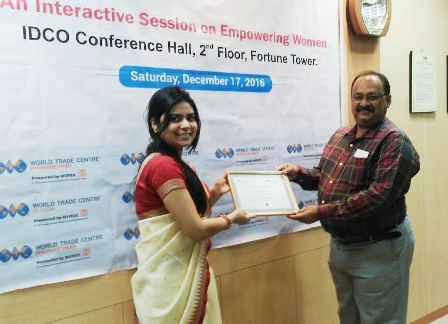 The event was organized by both the organization at the Conference Hall of Fortune Towers in Bhubaneswar. 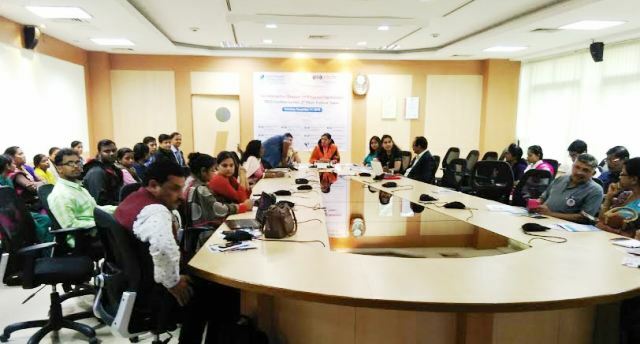 Addressing on the occasion, Director of Learnitude Technologies, Mrs. Priyanka Panda said that women was equally capable of doing things like men. In her remarks, she saluted Mother Teresa and said her sainthood was the greatest inspiration to mankind, she added, her achievement speaks the capabilities of women. Speaking on the women participation in technology &amp; innovation, Mrs. Panda said that women can also be good coders and in order to be a good coder and developer, one needs to be having good logic and skills. Women can also good developers and of late, the tech startups run by women are more successful comparatively units run by made entrepreneurs. Many women are scaled up to top positions in tech industry and they are the real inspiration for the aspirants those want to achieve a position in the tech industry, she added. She urged all to take a resolution for the coming New Year to bring a change in the society by giving equal rights to women. In her address Mrs. Sudha Mishra, founder, Little Steps, mentioned that women should be treated equally with men. She mentioned that women have been contributing a lot to the society and they should come forward without restricting them. There are challenges before women of late, there were also, there is transition in the society and there will be a great change in the coming days, she added. Mr. Shibaji Charan Nayak of Wild Odisha, gave a presentation on the women empowerment work done their NGO and he also throw light on the status of women in ancient times. He appealed all the members to give respect to women, which will bring changes in the society and mindset of the people. Ms. Anita Sabat, Managing Director, Sabat Exports Pvt. Ltd lamented that there were people, those did not know Odisha. In her speech she gave some examples of splendid work done by tribal women in the state. She said that in order to exhibit the culture and work of the women of Odisha, she prefers to wear the crafts and designs created the community, so that it would get attention of the world. Mrs. Zanet Mukhya, Principal of Tare Zameen Par School, said that without the support of man, women empowerment was not possible. In her remarks to a question, Mrs. Zanet said that she would train her son to give respect to women, to bring the change into the mindset of the people towards women. The mindset is the root cause which needs to be addressed, if we would like to empower women. Masako Ono, Japanese Odissi Dancer & founder of Trustee Mudra Foundation, mentioned about spiritual aspects and Kundalini. She also gave a presentation on various dance forms and Mudras. She urged the members to try bringing the changes in the society so that women can excel in their fields. Ms. Sharada Bharaty, Spiritual Healer &amp; Social Worker, said that all women should come out of their “Moogli” mindset. Due to the circumstances, women forget her real nature and capabilities, they should come out of their mindset of being inferior to men, instead they can start thinking on the positive aspects. She also urged the women members to focus on the positive aspects – consider creating opportunities through the available resources. Many other joined the interaction on the occasion; Director of Jet King also addressed and drew the attention of the members. The session was presided over by Ms. Nimeshika Natarajan of World Trade Centre, who gave welcome address and vote of thanks. The awards were given achievers by Mr. Bhanja of WTC at the end of the session.